Jim and his team were recruited by Flip Wilson’s production company to participate in an ecology-themed television special, Keep US Beautiful, which aired on NBC on March 27, 1973. 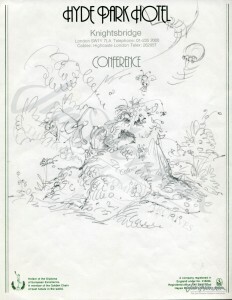 That January, Jim, Frank Oz, Jerry Nelson and John Lovelady flew out to Los Angeles to tape their part. Raymond Burr, the host, introduced what looked like a pile of garbage. According to Variety the, “Highspot of the hour was a parody of “Hey Look Me Over” done by Jim Henson’s Muppets made of trash, junk and garbage — a delightfully ironic plea for more litter to bury the earth and make their scruffly existence more enjoyable.” Jim clearly saw the value (and comedy) in trash talk. Not only had his grouch found a home in a garbage can on Sesame Street, but on Fraggle Rock, Marjorie the Trash Heap was the source of great wisdom and sage advice. 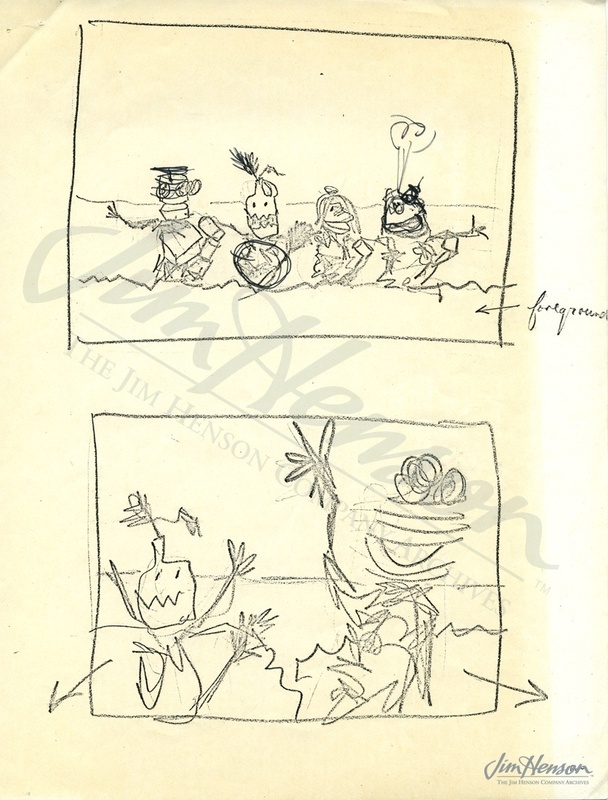 Jim’s rough storyboard for “Hey Look Me Over” with garbage creatures, 1973. 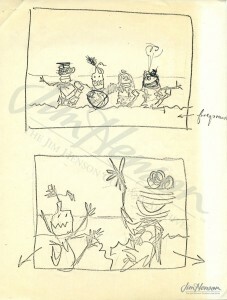 Michael Frith’s early concept for Marjorie The All-Knowing Trash Heap on Fraggle Rock, 1981. 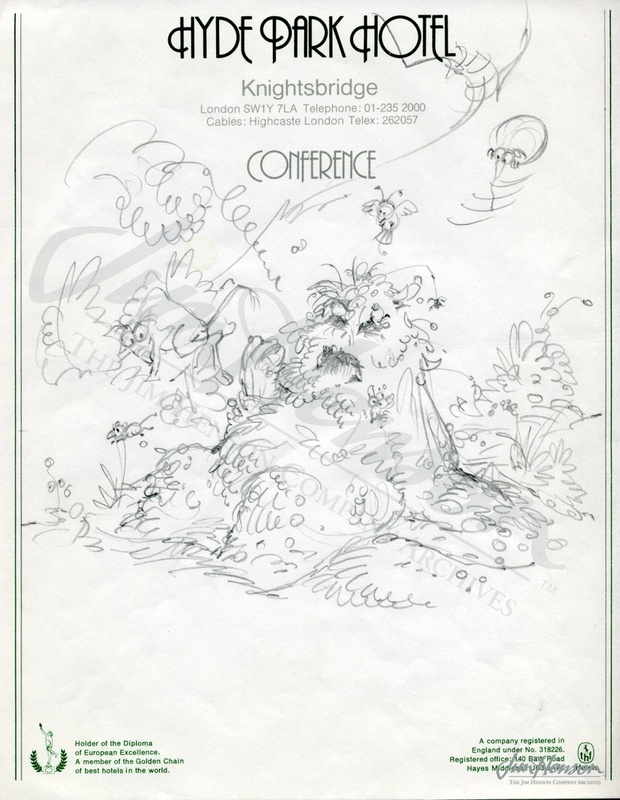 This entry was posted in 01-January '73, 1973 and tagged Flip Wilson, Frank Oz, garbage creatures, Jerry Nelson, John Lovelady, Keep U.S. Beautiful, Muppets, Raymond Burr. Bookmark the permalink.